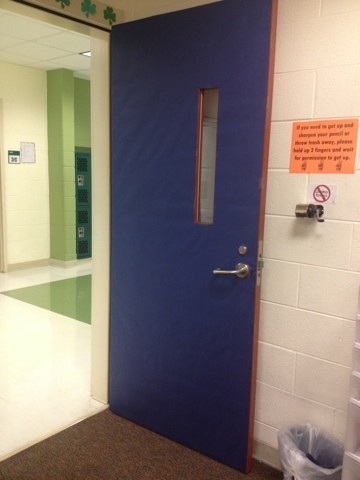 About a week ago, I discovered an article on BuzzFeed titled This Classroom Is The Doorway To Adventure. 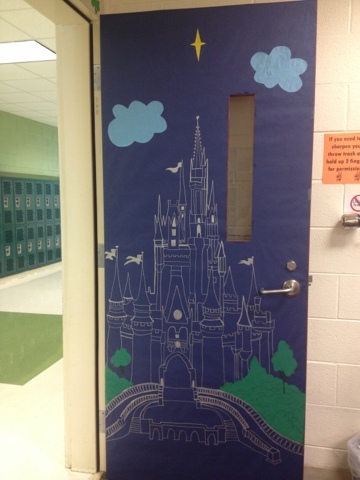 The article features a series of classroom doors that have been decorated in awesome ways! 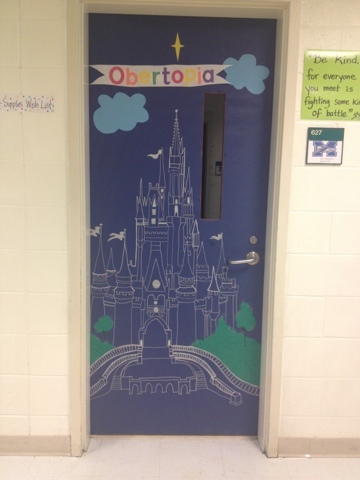 Since my classroom is the magical land of Obertopia, and I am the Queen, I was inspired to create a castle door! 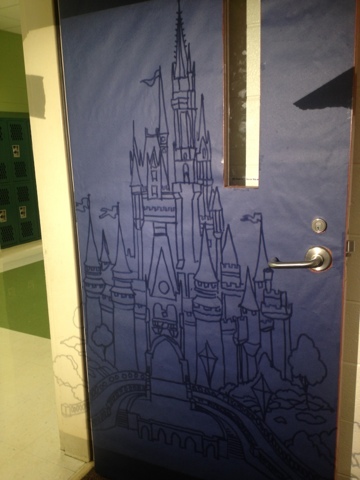 Step 1: Cover the door with your paper of choice. My original choice was pink, but we didn't have pink. Dark blue it is! 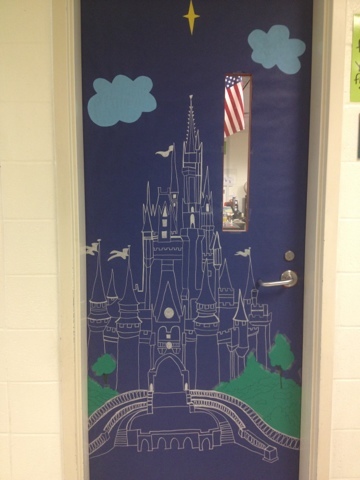 To find the castle I wanted, I did a google image search for "Cinderella Castle coloring page". 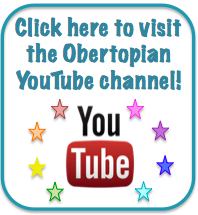 After I found my favorite, I created a transparency. 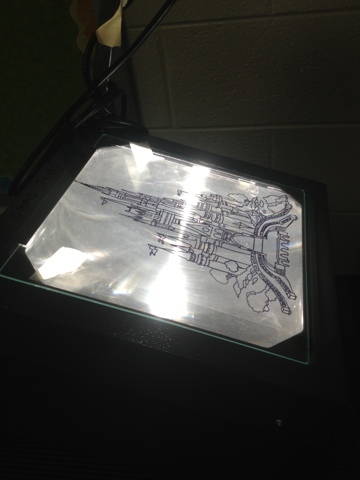 My ink-jet printer doesn't create very good transparencies, so I traced the coloring page onto the transparency sheet with a sharpie. This reminds me of my middle school days in math class. 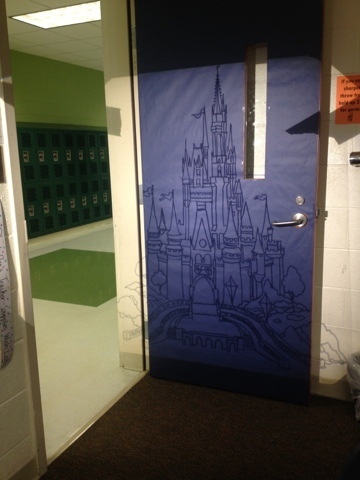 I projected the castle onto the door and moved it around until I was happy. 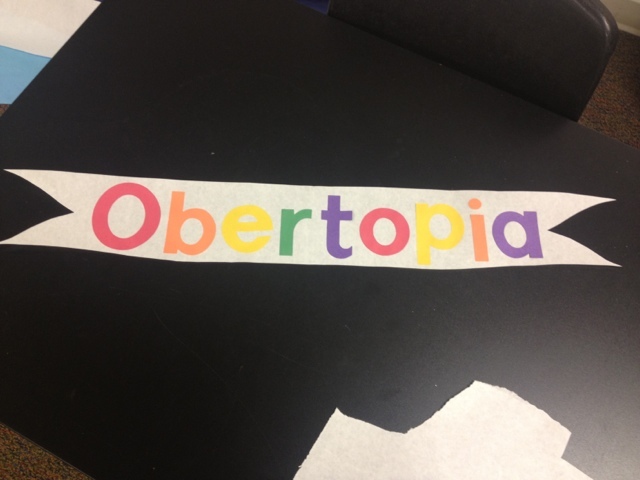 I also got the opinion of the other teachers on my team. 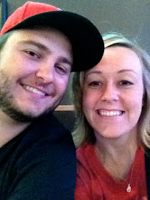 Thanks, Mr. Stanley and Mrs. Knauff! My original idea was to create a castle around the door frame with the door being the actual door to the castle, but I didn't quite know how to do that with the scale I wanted. 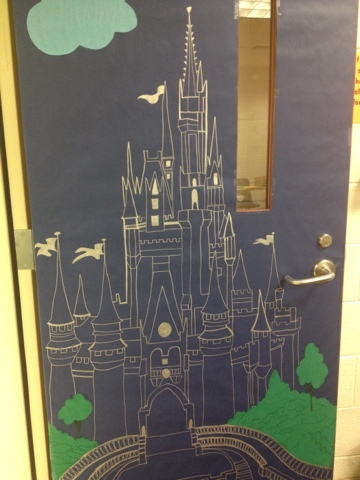 I traced the castle onto the door with a silver sharpie (more specifically-2 silver sharpies). I used green construction paper for the trees at the bottom. I colored in more windows to add contrast. The finished product (for now). So what are your thoughts? Should I add something more? 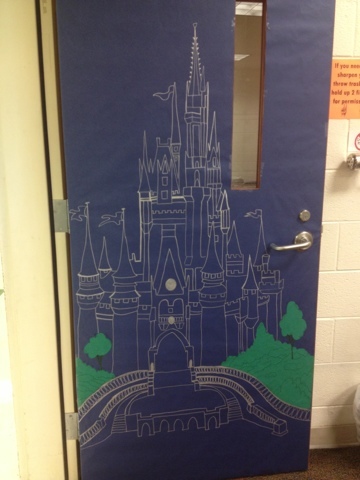 Do you decorate your door? 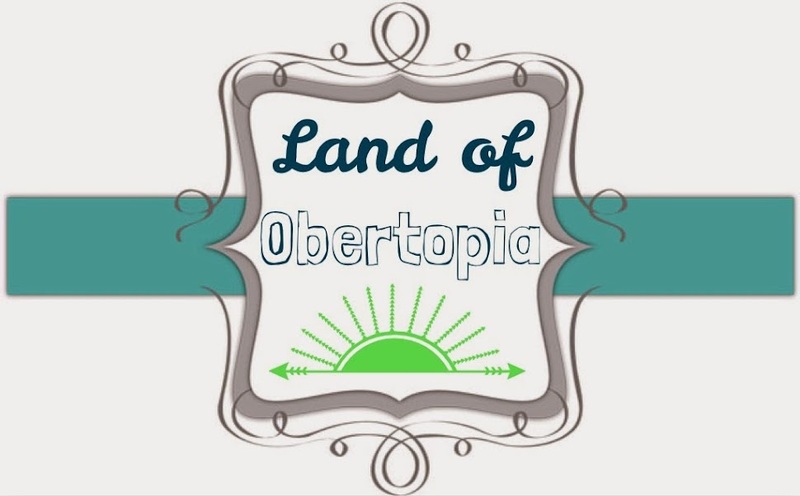 Let us know about it in the comments below or by emailing us obertopia@gmail.com.